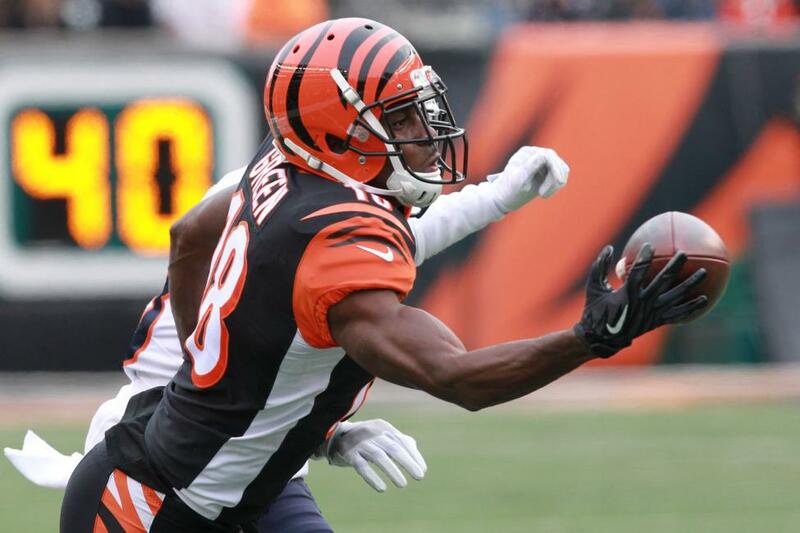 The Cincinnati Bengals were off on Sunday, but there was an update Monday regarding wide receiver A.J. Green and his injured toe. Lewis said Green will be "fine," but did not provide a timetable for Green's return. The coach did not rule Green out for this week's game against the New Orleans Saints. When asked whether Green would play Sunday, Green said after practice, "We'll see." Green suffered the injury in the Bengals' Week 8 win over the Tampa Bay Buccaneers. Green said after the game he jammed his toe on the 11-yard catch that set up Randy Bullock's field goal. It appears to be a reaggravation of the toe injury that cost him three games and most of a fourth in 2014. Green has been selected to the Pro Bowl in each of his seven seasons in the league, and he has had more than 1,000 receiving yards six times, including last season when he had 1,078 yards on 75 receptions. DE Carl Lawson was placed on injured reserve after suffering a torn ACL. WR Auden Tate was promoted from practice squad to active roster. LS Clark Harris was signed to a two-year extension through 2020.